Acorn-finished pork is a centuries-old tradition that has been handed down from the Mediterranean region of Europe. 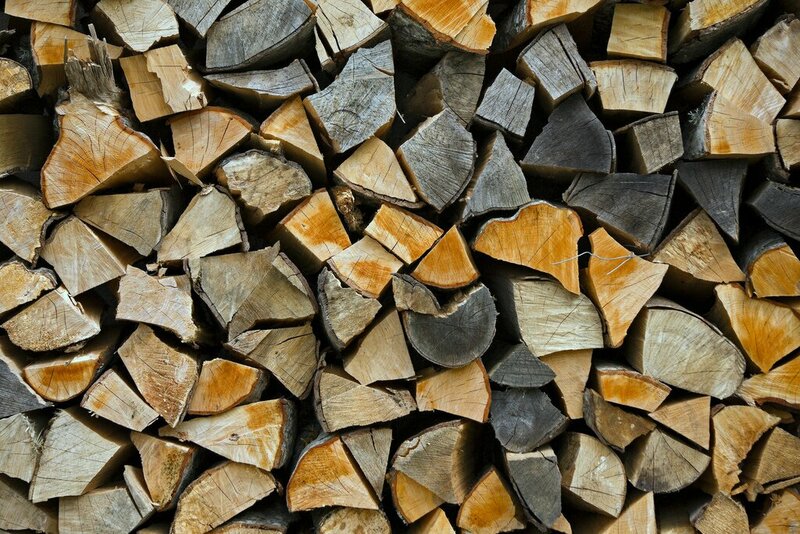 Pigs are native to the hardwood forests of Eurasia and there is a growing movement in Europe and America to return to more traditional methods of pork production, which are more humane for the pigs, better for the environment, and healthier for the consumer than pork produced by modern factory farms. Jamón ibérico de bellota. Click for price. In some regions, these ancient, traditional methods of raising pork never disappeared. 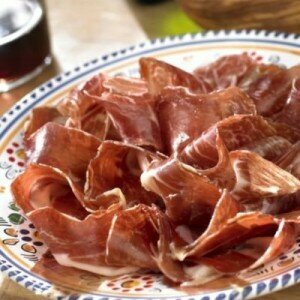 The legendary jamón ibérico de bellota (Iberian acorn-finished ham), also known as pata negra, is widely considered to be the finest pork in the world. This Spanish ham comes from the black Iberian pig (cerdo negra) and is raised in southern Spain near the border with Portugal in oak forests called la dehesa. During the six month period (la montanera) every fall and winter that they forage in the Dehesa, the pigs eat 15-20 pounds of acorns (bellotas) every day, gaining up to two pounds a day, and enjoy fresh air and exercise. After they are “sacrificed,” the hams are cured for 12-36 months, producing a truly artisan meat. Jamón Ibérico de bellota has only been available in the United States since 2008 and can be purchased from websites such as Jamon.com for $100 or more per pound. Acorn finished meat is humane, allowing the pigs to enjoy fresh air and sunshine, as well as practice natural behaviors such as rooting and nesting. 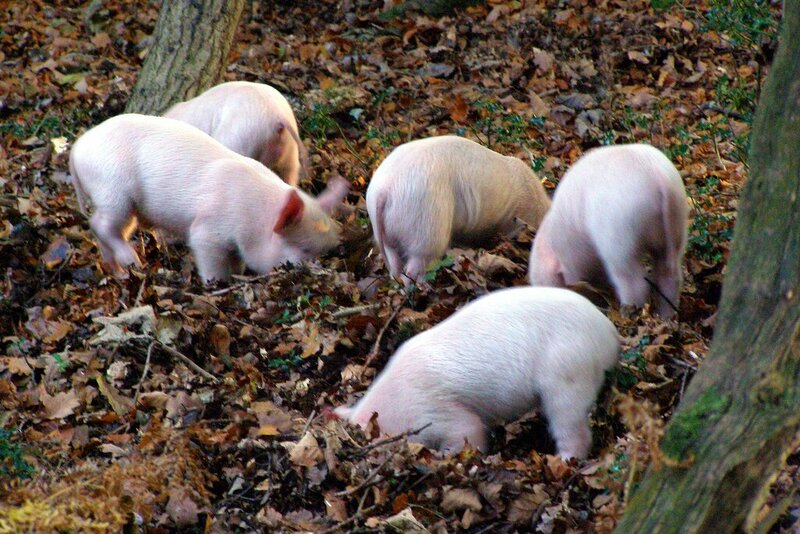 Many acorn-finished pork producers even allow their sows to farrow in the woods. Because the animals are not too crowded and are able to behave naturally, pastured pigs rarely have problems with stress and boredom-related cannibalism and their tails are generally not docked. Most are completely antibiotic and hormone free. Because the pigs spend their days wandering in forests and pastures, they spread their manure naturally, eliminating the toxic waste problems associated with many commercial-scale pig farms. In fact, instead of causing air and groundwater pollution, manure from pastured pigs can actually improve the soil. 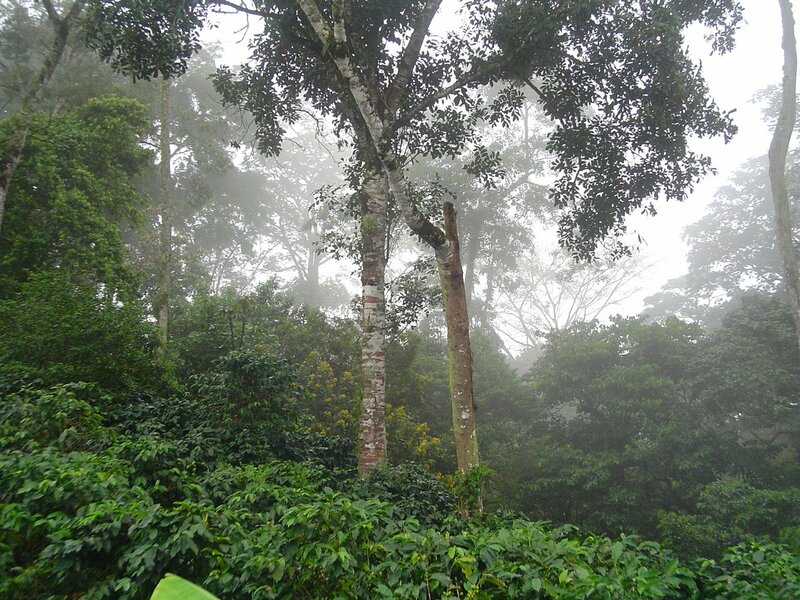 Forest-raised pigs have also been found to improve forest habitat in some regions. A North Carolina study found that managed grazing by pigs removed invasive plants and improved hardwood regeneration in woodlots. Note: due to pigs’ omniovorous nature, pastured pigs are NOT recommended in areas with sensitive populations of endangered wildlife. In particular, feral pigs are blamed for massive environmental damage in the delicate native ecosystems of Hawaii. Most commercial pig production is dominated by only a few breeds and hybrids that are bred to be suited to confinement hog rearing. As a result, many traditional hog breeds have become critically endangered. These traditional breeds have many valuable traits that commercial hogs lack, including hardiness, disease-resistance, mothering skills, and foraging efficiency. 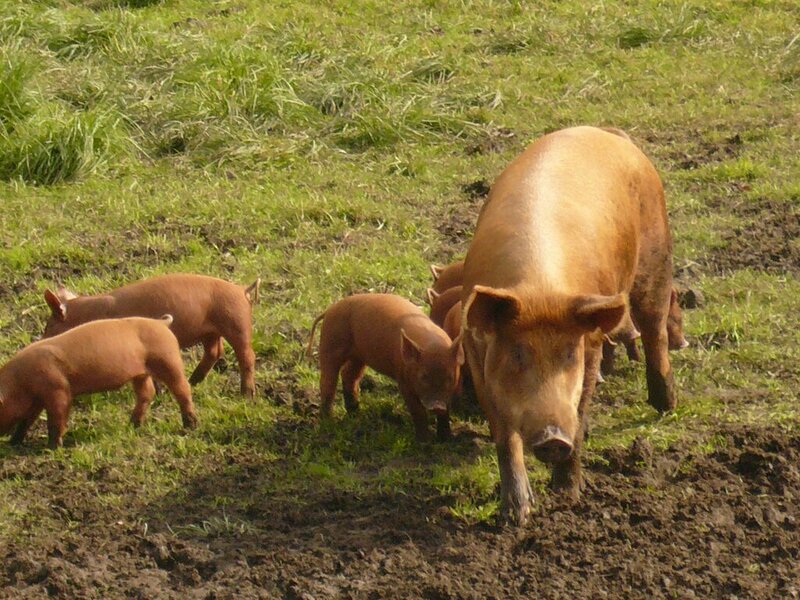 Pastured pork production helps preserve these valuable traits and increase agricultural biodiversity and food security. Finally, acorn-finished pork is tastier and healthier for the consumer. For decades, pork has been marketed as “the other white meat” due to the extreme leanness of factory-farmed pork. Acorn-finished pork, on the other hand, is deep red and well marbled with fat. Depending on the breed, many acorn-finished hogs even develop the famous “fatback” – 3 inches or more of fat from the pig’s back that was once considered a delicacy. Interestingly, even though acorn-finished hogs are fattier than confinement-raised hogs, their meat is healthier. Studies of Spanish pata negra pork have found that the fat they produce is largely unsaturated, often to the point of being liquid at room temperature, and that it is extremely high in healthy omega-3 fatty acids and oleic acid, a monounsaturated fat that is also known to lower LDL (“bad”) cholesterol and raise HDL (“good”) cholesterol. In fact, the pigs are sometimes called “olive trees on four hooves” because the health benefits are similar to olive oil! Thanks for the article. This is something we are excited about. I will see what we can do and will be back for more info. 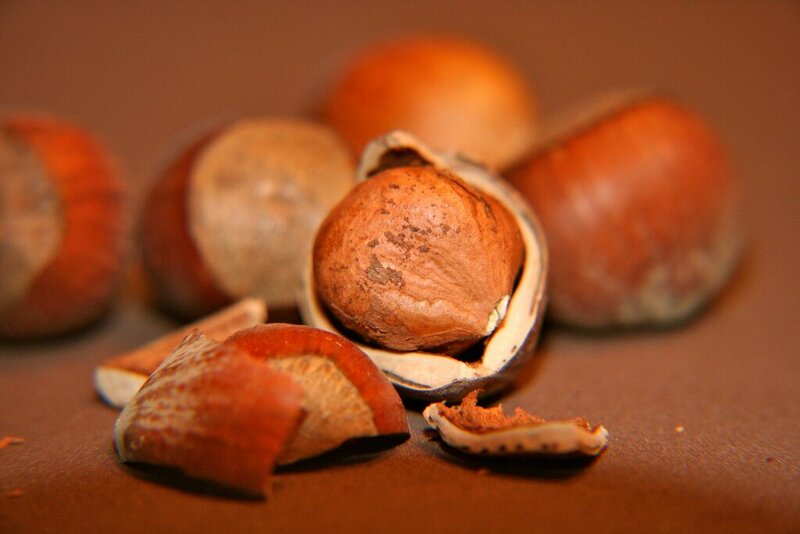 Does anyone have data on the omega 6 to omega 3 ratio of the acorns themselves? i have been looking on line, and so far found nothing, but this seems like an expert place to ask 😀 Thank you for the awesome work and sharing!